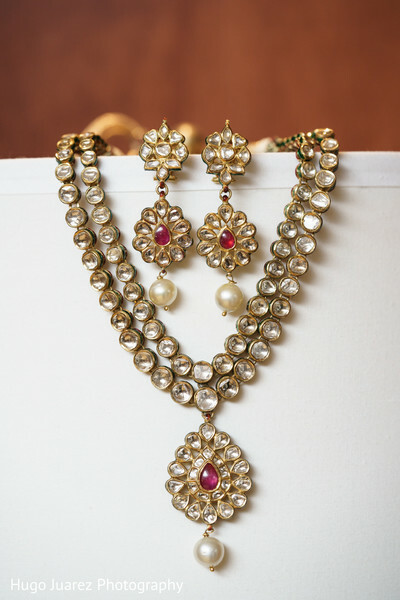 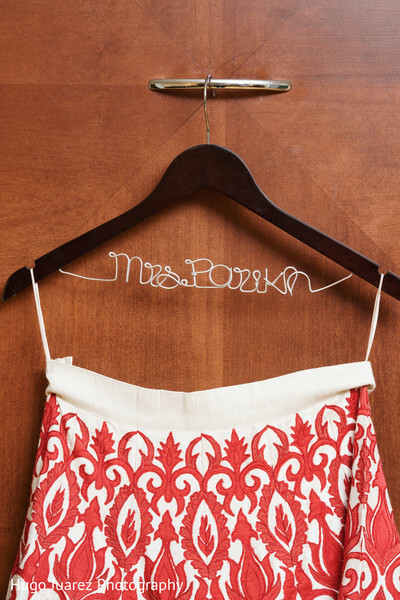 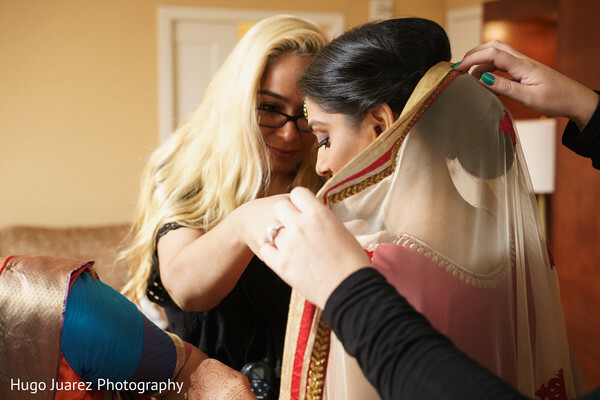 Today's stunning Indian bride is blowing us away with her fabulous Maharani style, and she's getting ready to do the same to her hubby-to-be at their first look photo shoot with the talented photographers from Hugo Juarez Photography! 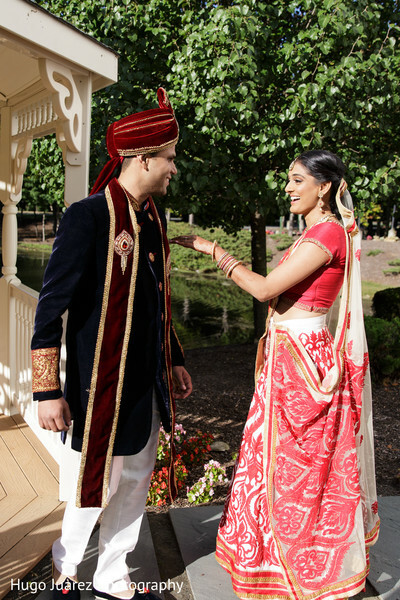 Helee is simply divine in a red and white bridal lengha, and we're absolutely falling for her matching dupatta! 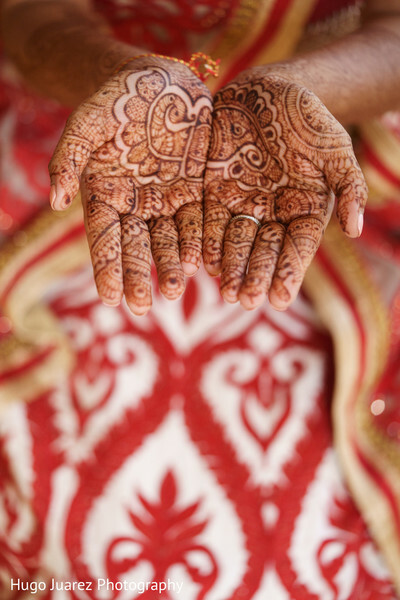 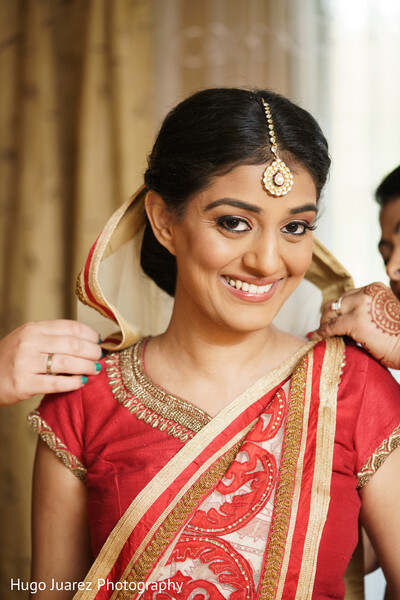 Expert MUA, Carolyns Makeup Artistry, flawlessly finished the blushing Desi bride's hair and makeup, and she's sure to turn every head in attendance as she heads down the aisle of her Indian wedding ceremony at the Park Ridge Marriott later today. 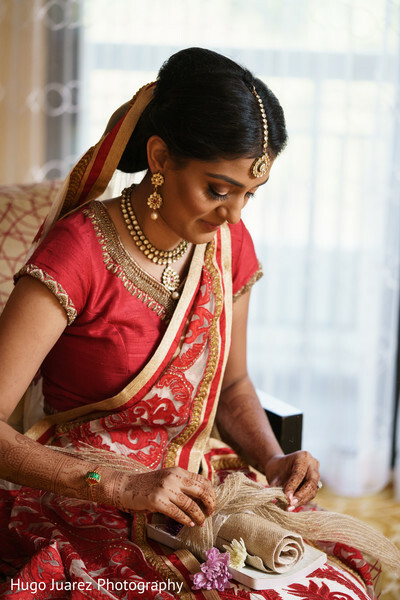 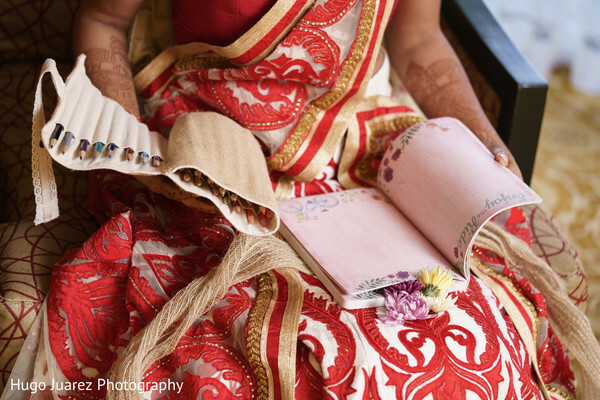 Her planner extraordinaire from Ring to Aisle Events is set to deliver some sublime details, including a lavish mandap by the decor specialists from Rangoli Weddings. 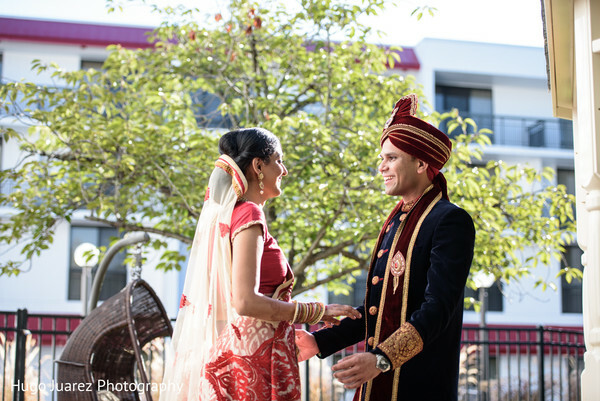 For a quick peek at what's ahead, plus more first look highlights from Helee and Vinit's portrait session, head into the complete gallery! 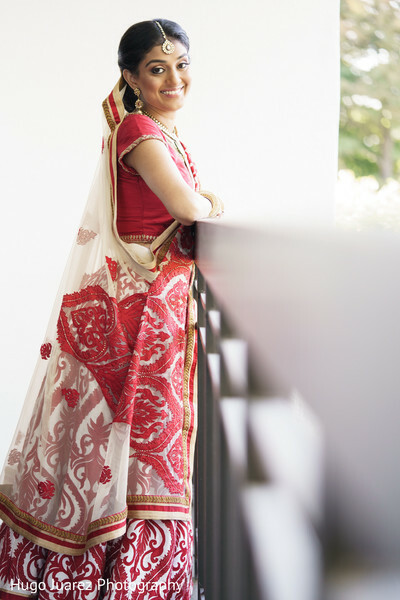 Don't move a muscle my dears! 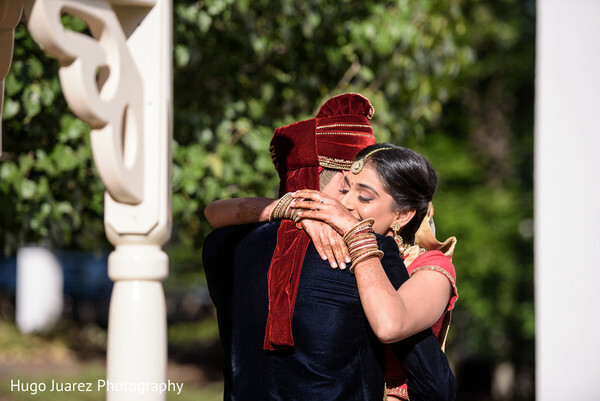 I'll be back in a flash with baraat and ceremony highlights like you've never seen!